Google virtual tour is the most effective way to make your business look real for the online visitors. Google virtual tour allows all the online visitors to observe and get to know about the products they are looking for. Google dominates both local search as well as web search. Google virtual tour is the most effective way to get recognized for the small businessmen. Nowadays most of the start-ups use Google business view to get recognized in the market. It helps us to give clear and vivid picture of our work, business and products to the online visitors who are interested to know about our product or business. 360 degree view allows the visitors to clearly observe the product and get to know about its visual appearance. It makes us more easily accessible by the people. In the researches, it is found that images have more impact than the words and other stats. Google provides a service named Google business view for the clients who are seeking information regarding the expansion of their business on the international platform. Google Plus page is generally the first step to let your business come in the lists of Google. When you search something on Google then you might have noticed that Google placed listings are generally on top and then others are followed by it. In Google business view, you are required to only pay once without any monthly rentals and recurring charges; there are no extra charges once your virtual tour is online. You can even add further images of your business on your websites and other social media sites. CS18 is the most preferred Google 360 Business View Trusted agency in Ludhiana. 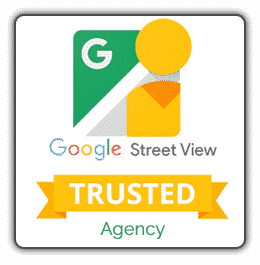 If you are looking for Google 360 Business View services in Punjab, you must choose CS18 agency. CS18 offers a package for Google 360 Business View in Ludhiana that includes QR code linking, customization of the embedded code, assistance in creation of Google Plus page of the business, integration with the Google maps, updating and verification process for the business information, image capture, capturing the 360 degree view of your business and much more. CS18 package for the Google 360 Business View is the best affordable service that handles all the aspects effectively. You must get the benefits of such latest technology from CS18 to observe an exponential growth in your revenue graph.